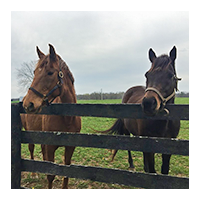 Nestled in the heart of horse country, Clover Hill Farm offers sanctuary setting for you horse’s retirement. Your horse will enjoy almost 100 lush acres of pasture, the companionship and comfort of a herd, and run-in sheds to provide them with shelter from bad weather. 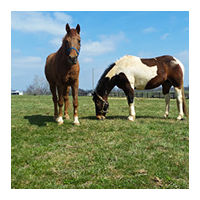 You may choose to allow your horse to remain in the pasture part time or full time. We want you to be happy and feel confident that your horse is well cared for and loved so we make it a priority to hire professionals that are passionate about their work. 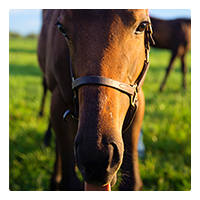 We’ll even send you monthly updates and photos of your horse. And you are always welcome to visit and take advantage of our tack and facilities while you are here. We offer great inclusive retirement packages to help you give your horse a happy retirement and you a peace of mind! Interaction with your horse on a daily basis to ensure his/her well-being. ​​*** The rates presented below are exclusively designed for ease of retirement, and do not apply to general boarding. Facilities maintained up to the highest standards. ​*** The rates presented below are exclusively designed for ease of retirement, and do not apply to general boarding. At Clover Hill Farm all of our horses are treated like family ! Choosing a retirement home for your horse can be a terrifying prospect. If they aren't close by, how can you be sure they are being well cared for? How do you know that the people looking out for your loyal equine partner will care about your older horse as much as you do? 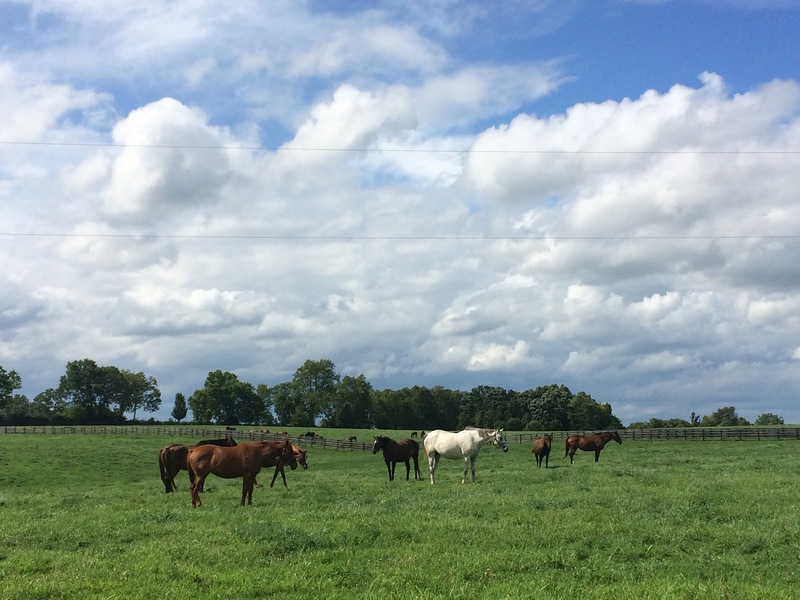 We encourage you to be very picky about the place you choose for your horse's retirement. Visit and consider the condition of the other horses at the facility. Ask about policy regarding owner involvement - will you be shut out of decisions regarding your horse? Does the facility have the expertise needed to care for aging horses? We send you our best wishes in your search and hope to become your horse’s retirement destination ! Call or Text Us At 859-444-5737. "I retired my two horses to Clover Hill in March, and I have been very happy with everything about the farm so far. Mira and Betsey have been fantastic in working with me, sending me pictures/updates, and putting my mind at ease about my horses' new home! They are very knowledgeable and attentive to my horses, even with my two being on pasture board. I am hoping this will be my horses' forever home!" "I just moved my mare to this farm for permanent retirement and I couldn't be happier. As an owner that lives out-of-state, I have to be able to trust the caretakers to look after her as if she were their own. So far, Betsey and Mira have been phenomenal, sending regular pictures and updates so I know how my horse is doing. The care package is also fantastic - one monthly fee includes everything your horse needs, including farrier visits and vaccines. You can also get discounts for paying in advance, which I really appreciate. Based on my experience so far, I have a feeling this will be Anna's forever home." "I retired my horse Bode to Clover Hill one month ago. He has adjusted very well - the team at Clover Hill is really focused on making sure he is happy and healthy. It's a relief for me. The farm is beautiful and very well maintained. I recommend Clover Hill for horse owners who are committed to their horse's well being in a retirement setting."